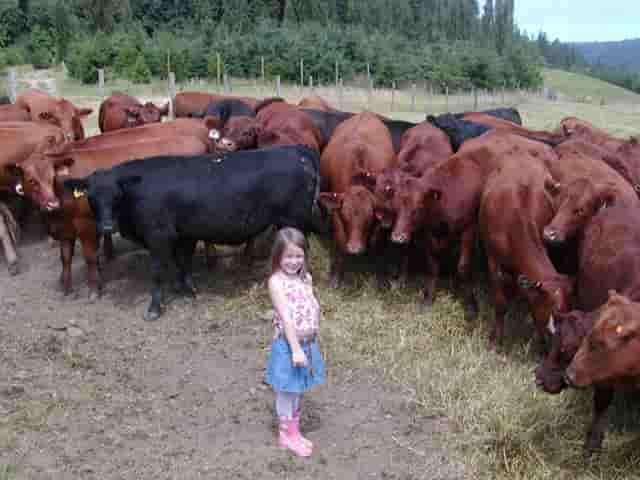 Our family has been involved for years raising some of the best grass fed beef Seattle has seen. All of Western Washington has been serviced by our quality meats for more than 30 years. In all that time, our commitment to using nothing but humane and environmentally friendly organically minded practices to raise the highest quality Grass fed beef possible has never wavered. All our animals are individually raised from birth and are allowed to forage on our lands as they please for their entire lives; none of our animals are raised in confinement. Because we are a family-owned grass fed beef Seattle area ranch, we are able to check on our pastures daily and care for our animals individually. The result is better than organic certified beef, raised on delicious and healthy grass with a taste that can't be beat. We take great pride in all our cattle, and we're not just thinking about your family in every decision that we make; we're thinking about our own family too. We strive to keep our operation safe and healthy for the animals and all our partners who work with us. We believe that natural practices provide the best quality, and with us that quality is never rushed. If you are looking for beef raised using organically minded practices without the high prices then you owe it to yourself to check us out. We work hard each day to ensure that our commitment to quality in working with the land, our animals, and with each other is reflected in everything that we do. At the end of the day, we enjoy working together to raise a product that we are happy to place on our own tables, and share with all our friends. We know high quality organic certified meats from large operations are often expensive, so we strive to provide many of the same organic practices and principles at a price that's very affordable.